Ginataang Tahong is another alternative cooking method for mussels which I like to share. 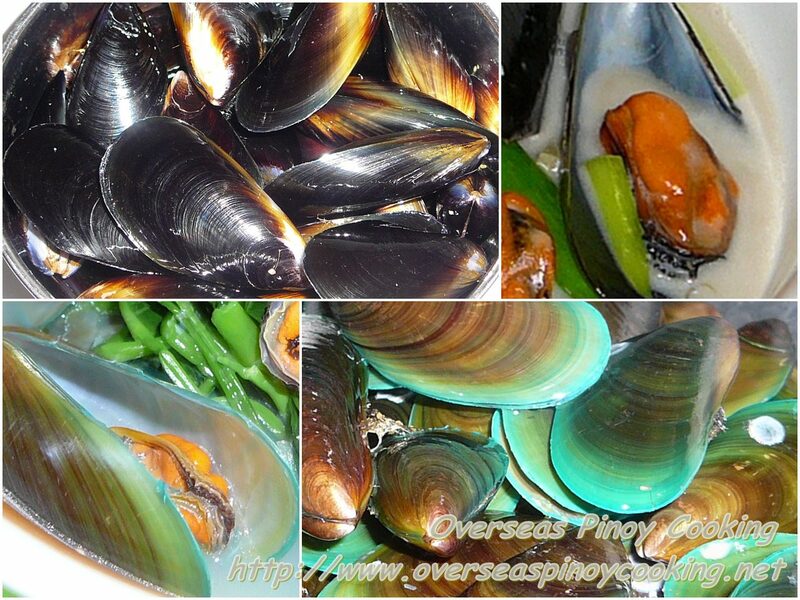 In the Philippines we have the green mussels which we Pinoy usually cooked it with ginger, tinolang tahong or broiled it with cheese, baked tahong. 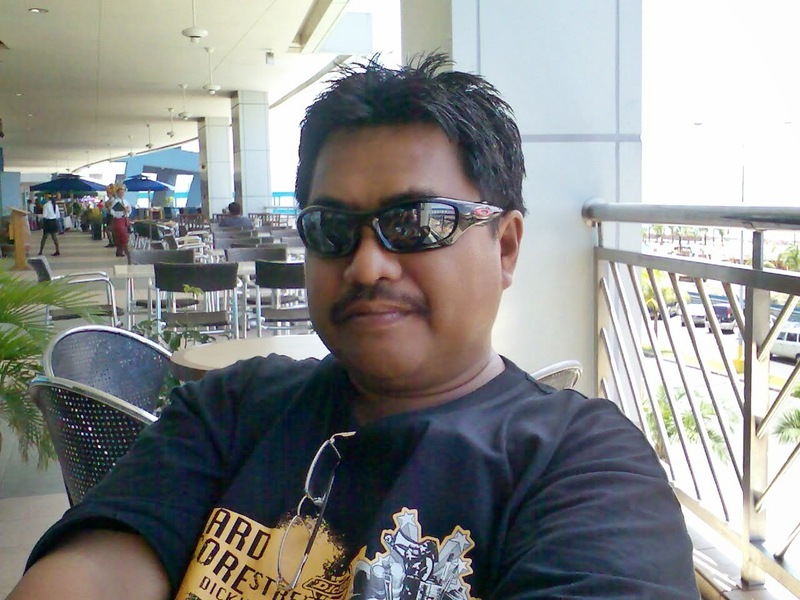 The mussels available here in Australia are the blue mussel varieties. They are sold live, scrub cleaned, de-bearded and ready to cook. They are vacuumed pack in plastic packs with salt water to last and stay alive for at least 7days and available in most supermarkets and seafood shops at 1 kilo a packet “live pot ready mussels”. The other day I bought one and kept it in my refrigerator for a couple of days that was convenient, just imagine live mussels you can keep in your refrigerator and cook it whenever you have time with in 7days. Today as I mentioned above I like to share how I cook Ginataang Tahong or Mussels in Coconut Milk. The best method is to first steam the live mussels in their own juice, remove from the pot and separate the juices and the mussels. Then separate shells of each mussel and discard the shells that do not have meat clinging on them. In fact you can remove and discard all the shell but the dish is more visual appealing with their shell on. The secret here is to cook the coconut until it is fairly thick and creamy in consistency before adding the mussels. 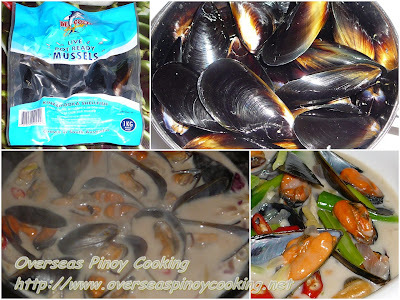 Here’s the recipe of how I cooked my Ginataang Tahong, Blue Mussels in Coconut Milk. Rinse the mussels and drain. (For mussels that are not ready to cook, wash mussels and place in a bowl, cover with water and let sit in for several hours to allow the mussels to expel dirt and discard water, wash and drain.) Place the drained mussels in a pot. Turn the heat of the stove at medium to high heat to steam the mussels on their own juices. When the shells are opening remove from heat. Separate the juices from the mussels filter out the juices using a sieve and keep aside. Separate the shells of the mussels and discard the other half of the shells without meat, keep aside. In a sauce pan boil and reduce the mussel juices to about 1/2 to 3/4 cup, check saltiness and if it’s too salty use only appropriate quantity. Now add in the ginger, lemongrass, garlic, peppercorns and coconut milk, bring to a boil and simmer for 5 to 10 minutes or until the desired consistency is achieved, stirring continuously during the first few minutes. Add in the mussels and chili and continue to simmer for 1 to 2 minutes. Add in the spring onion and cook for another minute. Serve hot with a lot of rice.